SKU: N/A. Categories: Favorites, Apparel. Tags: iowa, Iowa football, tight end u. 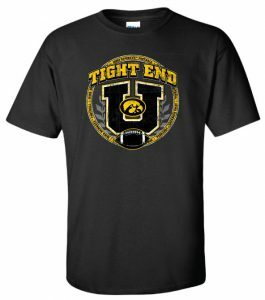 Yet again Iowa is proving we are the real TIGHT END U! Order you TIGHT END U tee today. This design is available in black Gildan ultra cotton tee.